The current benchmarks: Porsche 911 Turbo and Lamborghini Huracan. Hyundai feels it’s now ready to take the next step, and it’s a big one. Speaking to Australia’s at this year’s Consumer Electronics Show (CES) in Las Vegas, senior Hyundai executives have confirmed plans for a two-seat hybrid supercar. 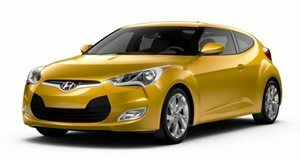 Due to arrive in the next few years, there have been rumors Hyundai was interested in entering this exclusive segment, but it needed to have the right team in place first. The hiring of former BMW M division chief Albert Biermann and former Lamborghini designer Luc Donckerwolke are just two examples. Details are scarce for now, but inside company sources have acknowledged there’s benchmarking taking place right now for a number of premium supercars. A couple of examples include the Porsche 911 Turbo and the Lamborghini Huracan. The project’s confirmation specifically comes from Donckerwolke, who told he “can’t tell you more about it, but definitely we are doing that. I am actually reviewing a project on this next week after CES. We’re not going to go autonomous for all cars just yet.” Another high level Hyundai executive also admitted the engineering team is experimenting with possible powertrains at the moment. "We cannot say (it will be) just hybrid, but we will use some electric motor and batteries for high performance. There are some areas we can overcome instead of using big (internal combustion) engines as we would like to minimize as much as possible the use of IC engines and use as much as possible the electric motors. Then, in many ways - not just for efficiency, but for performance - it can very much be optimized using both powertrains. 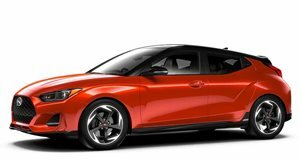 Certainly we will put some electric engines in there.” Presumably, this future supercar will be a part of Hyundai’s N performance division. , entering the supercar segment doesn’t seem so far-fetched.